We always lay stress on the muscles of arms, chest and legs while ignoring some areas which are most appealing. Muscles under the armpit are of prime importance since they affect the way we look. These muscles need a regular workout to reduce pressure on arms and build flexibility, in case of body building. No one likes the additional odd looking bulge just under the armpits. There are a few easy exercises which will help in toning the tight underarm muscles and help in building flexibility. These muscles should also be toned for resistance training. This is an excellent cardio workout with specific arm movements which help in working out the under armpit muscles. The exercise is so effective, it can burn as much as 11 calories in a minute. Start by standing as you keep your knees together. Your elbows shall be relaxed. You will hold the handles of the rope and rope shall be behind, close to heels. Keep your chin relaxed and tucked in. Look at the ground. 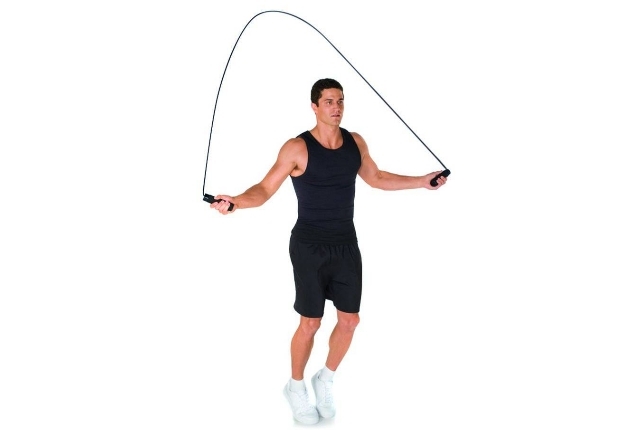 Start jumping rope as you maintain your form. Your shoulder blades will be squeezed as you add extra pressure to your back. You need to jump for three minutes at least. This exercise shall work on your shoulder and armpit muscles effectively. Start by lying down on your back. Your knees and hips shall form 90 degree angle. You can use your low abs and slowly press your lower back on the mat. Now, slowly raise your arms and move them towards the ceiling. Your arms shall face one another. Your elbow joint will be a bit bent. Ensure that your torso is stable. You can open the arms to your side till your elbows are at least two inches from the floor. You can raise your arms towards the ceiling. Now, bring the weight just above the chest. This shall be one repetition. You need to do 10 such repetitions at a time. This is an easy workout which works out the muscles located under the arms. This is especially effective for tight underarm muscles or stiff muscles. Tight muscles mean you do not have enough flexibility in your arms to touch your back with your arms. To start the exercise, you will hold a dumbbell in your hand. If you do not have a dumbbell, you can hold a bottle of water. Your closed palm shall face out. You will be standing as you keep your knees bent. Your back will be flat. You need to bent a bit from the hip joint. You need to lift your arms to sides. Your elbows shall be a bit bent in this position. You can again squeeze your shoulder blades together. You will lower the dumbbells and then complete a repetition. This is an excellent exercise to tone the armpit muscles and the muscles located under the armpit as well. Start by keeping one foot, your hand and knee on the same side of a bench. You will keep your other leg on the ground. Your free arm will be hanging with a 2-pound weight at least. Your spine should be flat at this position. It should also be parallel to the ground. Keep your chin tucked in. Your eyes shall be on weight. You will do a bicep curl. Bend your arm at the elbow and slowly pull the weight close to your face. Do not strain too much, if you feel too much exertion or you will injure yourself. Here in this workout, the elbow works as the fulcrum. Stop for a few seconds and get your arm to the position you started. You need to do this exercise for ten minutes at a day. Rhomboid exercises help in toning the muscles behind and under the armpit as well. 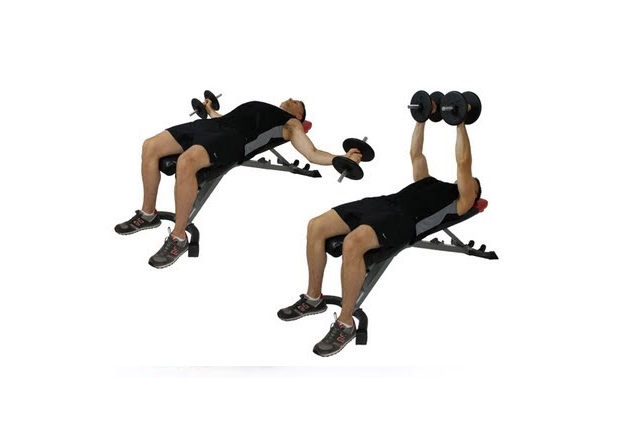 They are quite effective in toning the middle and upper back muscles. 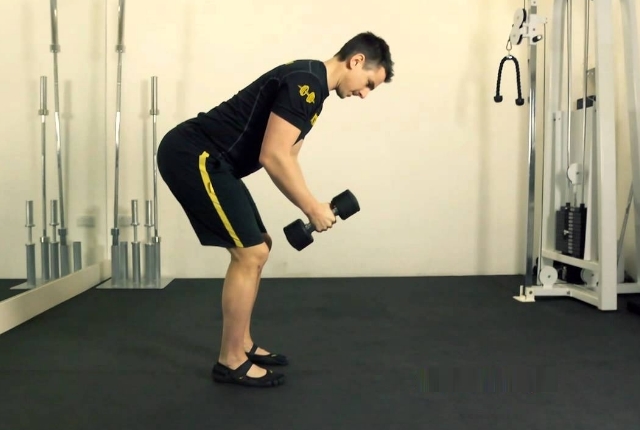 You will need dumbbells to do the bent over rows. In case you do not have free weights, you can use a soup bottle or a water bottle. You need to start by standing as you keep your feet wide. Your feet shall be wide as the hips. Start by squatting down. You will bend from your waist at around 45 degrees. Your spine should be straight. Look straight in this position. Your arms shall be hanging by your hands as you start. You will be pulling the weight close to your stomach and then lower down. You need to continue doing this till your arms feel tired.